I found this little guy on Pinterest and it was love at first sight. I like to think about what business he was about when he got caught in the rain. 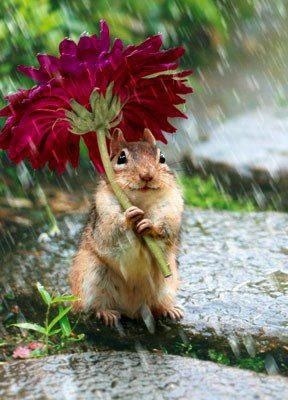 Maybe that’s not an umbrella at all, but a present for someone nice.